Free Delivery on Orders Over £50 at Zara If you're spending £50 or more at Zara, you're in for a treat! You can get free delivery with your order. Women's New Arrivals from £10 at Zara - Dresses, Jeans, Jewellery and More Keep ahead of the trend with some beautiful Zara attire! Shop today for stunning styles from £10. Men's 2019 New Arrivals from £10 at Zara Hello, trendsetters! Head to Zara and check out their latest styles from £10. Women's Spring and Summer Collection from £10 at Zara The weather's warming up, time to get some new summer clothes! Check out the spring and summer collection that has just landed at Zara. Gift Cards from £20 at Zara In need of some gift inspiration? If you know someone who adores Zara, this is the perfect gift! Women's Party Dresses, Accessories and Make Up from £10 at Zara Get ready for that upcoming party with Zara where you can discover beautiful fashion pieces from just £10. Women's Beachwear and Swimwear from £8 at Zara Get ready for your upcoming holiday with some stunning new beachwear! Head to Zara and find styles from just £8. Men's Shorts from £18 at Zara - Get Ready for Summer! Get ready for the sunshine with some new shorts! Check out the collection at Zara and bag a new pair from £18. Women's Accessories from £10 at Zara Get your perfect look this season at Zara with accessories from £10! Men's Jackets from £20 at Zara Get yourself a trendy Zara jacket from just £20! Head over now and check out their collection. Women's Outerwear from £20 at Zara Stock up on deals at Zara, with orders starting from just £20 it is a good time to treat yourself to some new outerwear. Baby Clothing from £6 at Zara Head to Zara for beautiful baby clothing, available from just £6. Women's Beauty Collection from £10 at Zara Get some gorgeous makeup in time for all your upcoming parties and events at Zara! Have a peek at their collection today. 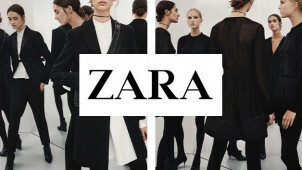 Zara is one of the most well-known names on the high-street. Zara now has locations all over Europe, North and South America, Asia and Australia. In the UK, Zara is a hugely popular place to shop for women’s, men’s and kids' clothing, and there is also the Zara Home sister brand for equally stylish home interiors. There are always new styles and trends to check out at Zara, and with savings from vouchercloud it can be much more affordable to keep your style up to date. Getting ready for work is a piece of cake when you’ve got the pick of the trends from Zara, as is packing for your holiday off to sunnier climates. One of the most interesting things about Zara, and possibly a big part of its success, is that it has a very fast route from the design stage of its clothing to its shelves, with many items going from the drawing board into customers' hands in just a couple of weeks. This, combined with their advanced trend analysis methods, allows Zara to bring the very latest fashions to the high street extremely quickly, and means that new pieces are added to Zara ranges online and in the shops every couple of days - so you’ll always be one step ahead of the rest. For an all round great wardrobe, we look to Zara TRF collection. Filled will trendy pieces to keep you looking fresh on all occasions, with a Zara voucher code handy, you can bag yourself an even bigger saving. For men, women and children alike, shop jeans, sweatshirts, blouses and more - it's well worth checking out for exceptional value on those casual, chic items. How do I use my Zara discount code? If you have vouchers to use in a Zara store, you just need to print them out or download them to your mobile and take them with you when you shop. With the Zara Newsletter you'll be kept in the fashion loop every week, plus, you'll hear about any great discounts or offers available. Does Zara offer free Next Day Delivery? Standard Delivery is free on orders over £50, you could also opt for the free Click & Collect service to your nearest store. But for Next Day Delivery, the cost is £9.95 to get your goods in a hurry! Is there a Zara mobile app? Zara is one of the best retail companies when it comes to including everyone with their customer app, with versions available not only for the standard Android and iOS platforms but also for Windows Phone, Windows 8 and Blackberry. The app allows you to browse collections, get some great style ideas, and of course order Zara products on the go. Where is my nearest Zara Store? If you want to shop in person rather than online, you can find your nearest branch of Zara using the store locator online. Where can I buy Zara gift cards? Zara offers both physical gift cards which you can buy in-store to a value of your choice, or e-gift cards that can be sent instantly to the recipient. If you need a fast present that is sure to be appreciated, a Zara e-gift card has you covered! Standard Delivery is free for orders over £50 - £3.95 otherwise. Standard Delivery takes around 2-3 working days. Express Delivery costs £9.95, and arrive between 1-2 working days. You can return or exchange an item in any Zara store within one month. For returns of online orders, log-in to your account online and follow the steps here (sadly orders made as a guest cannot be returned online). You can also reach Zara online via their online chat - log-in to your account and chat here. Zara is the innovative fashion retailer which is always one step ahead of the fashion curve. Founded in Spain in the late 1980's, it has grown to be one of the largest clothing retail brands in the world. If you want to save money on this brand, use a Zara discount code to get more contemporary fashion for your money. From dresses to jackets, shoes and more across men’s, women’s and kid’s departments, Zara has the pieces to create killer outfits, so you’ll always be ready to hit the town, the beach or the shops in style! Zara launched the sustainable campaign 'Life' to embrace a more sustainable future. Products are made with organic cotton, recycled wool and using innovative and more natural methods of production to help you reduce your environmental impact every time you buy. To be even more green, you can even give the clothes that you no longer wear a new life by recycling them with Zara. That way you can easily make room for your new wardrobe essentials! This season, you're going to have to pick a team with Zara. Will you go team stripes, florals or polka dots? Perhaps you'll go all three. Regardless, now's the time to invest in the latest edit. Think bright dresses, printed jackers, tops and more, simply use your Zara voucher code and you've found the perfect way to save on your wardrobe refresh. Get the look and then enjoy being a part of a very trendy team indeed.